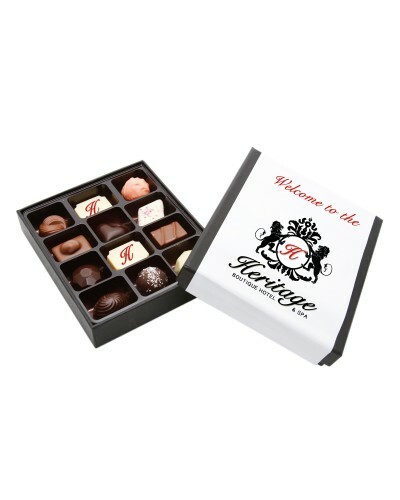 Box of 9 assorted flavoured and 3 ganache filled premium printed belgian chocolate truffles. Custom Print Chocolate | Custom Printed Sleeve. Branding Custom Print Chocolate Custom Printed Sleeve.